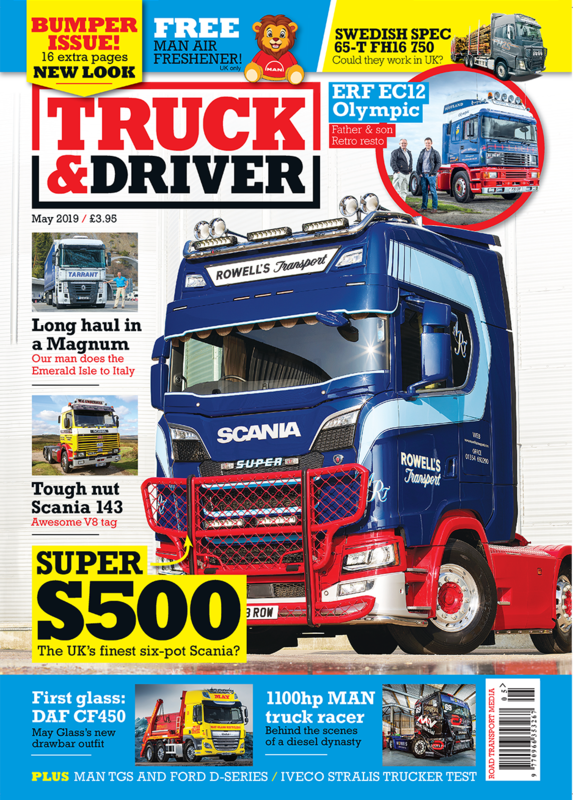 New Ford Cargo 1846T is on the road–and Biglorryblog has the full story! Meanwhile, I also learn that the New Ford Cargo Tractor Unit comes with the option of automatic transmission. Not sure which one…any reader like to hazard a guess, or perhaps they know for sure? 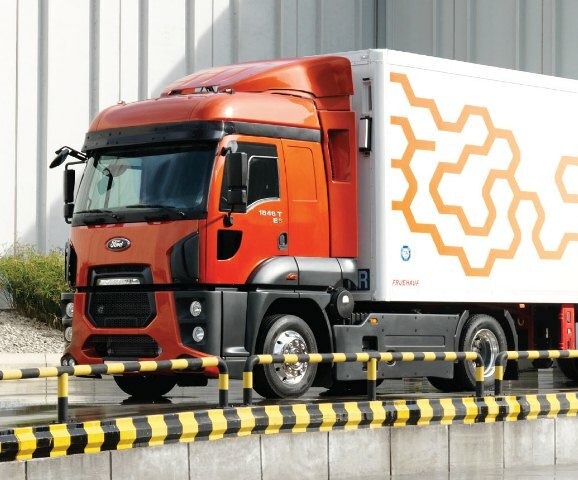 Ford Otosan says the auto box “…will enable fuel savings thanks to its quick gearshifts, the transmission also contributes to decreased running costs with an extended service interval of 350,000 km. 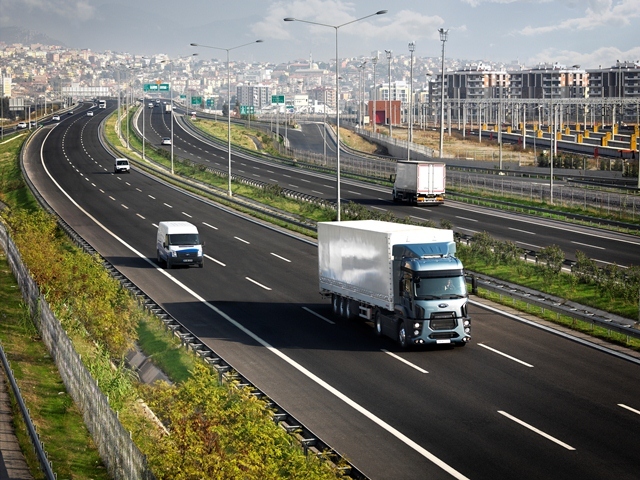 Braking is independent of engine speed thanks to the transmission intarder with 5 brake levels, which is integrated with the transmission and enables wear–free braking. The manual transmission version of the vehicle offers a new gear-shift mechanism, making it a class leader due to the low level of effort required to shift gears. Similarly, gear lever movement is also extremely easy and comfortable. Offering an optimized package for SCR catalyst after development of treatment and muffler systems, the exhaust system’s SCR tank volume increased by 14% as the AdBlue heating was improved. 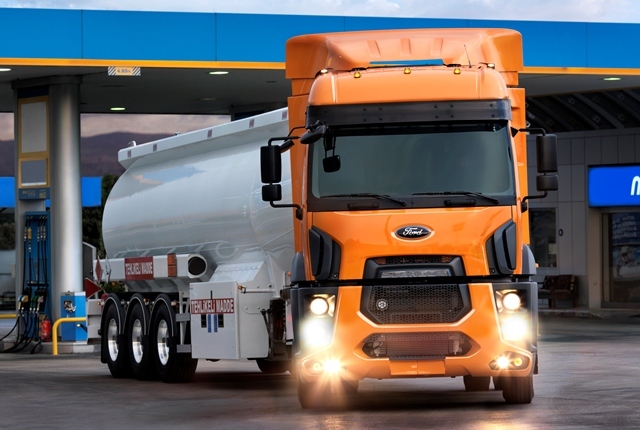 Improvements were also made in the fuel capacity of the Ford Cargo, with the filter location of the 1,090 litre capacity fuel tank changed for easy serviceability. The Ford 1846T comes with a host of driving safety systems including ESP, EBD, ABS, and traction control systems. The Electronic Braking System (EBD) system, which is responsible for optimized brake force distribution, ensures equal delivery of brake pressure onto the brake calipers while also helping the clutch pedal feel to stay the same at all times. 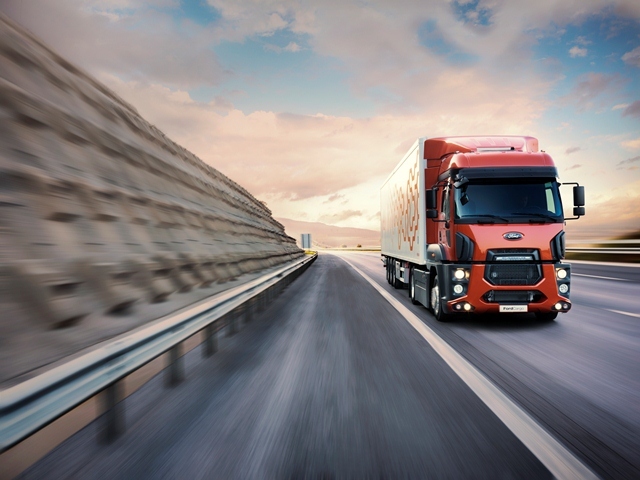 The braking system has excellent brake reaction time, and also ensures easy serviceability as well as lower service costs thanks to its modular structure. 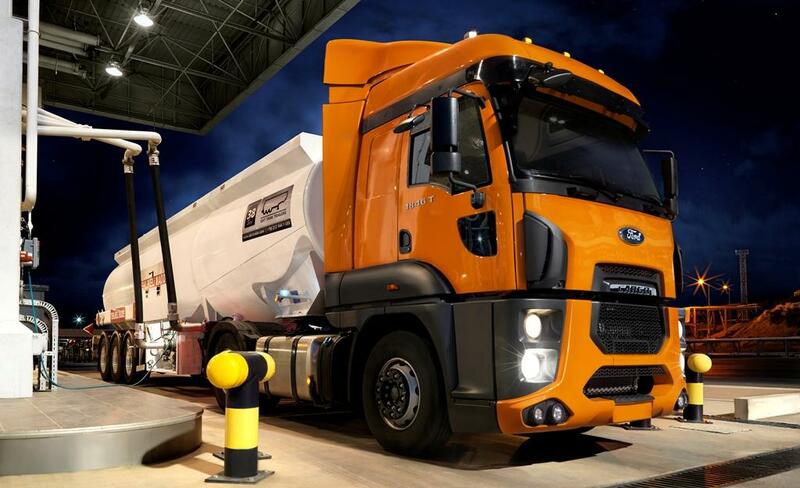 Along with ABS as standard, the New Ford Cargo Tractor Unit is fitted with disk brakes. 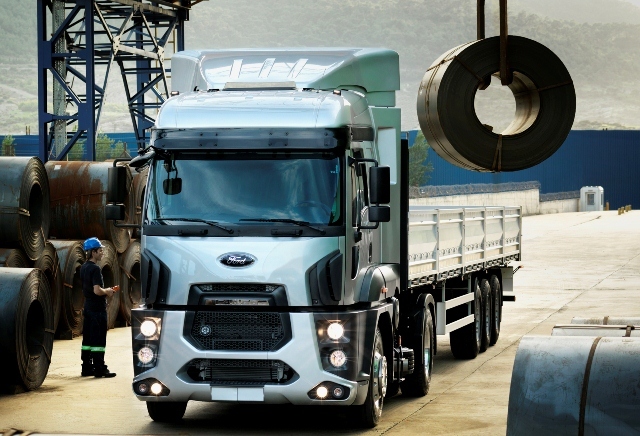 The New Ford Cargo Tractor Unit also includes an immobilizer system against the theft. Of course the big BLB question is will we see it in the UK…my understanding is that the company is considering right-hand-rive versions but has yet to make a firm decision. However,it would certainly be nice to have a big Ford Cargo back in Blighty again! Above all else I like the styling of the Ford Cargo 1846T, it’s ‘diferent’ and for BLB that counts for alot especially when some many things now look so ‘similar’ whether they’re cars, trucks or vans…it’s nice to see designers and stylists go their own way. What the best-dressed European sleeper cab should look like inside…at least according to Biglorryblog!